Centrifugal Fans are designed for general HVAC and industrial applications where large volumes of clean air are required at low to moderate pressures. 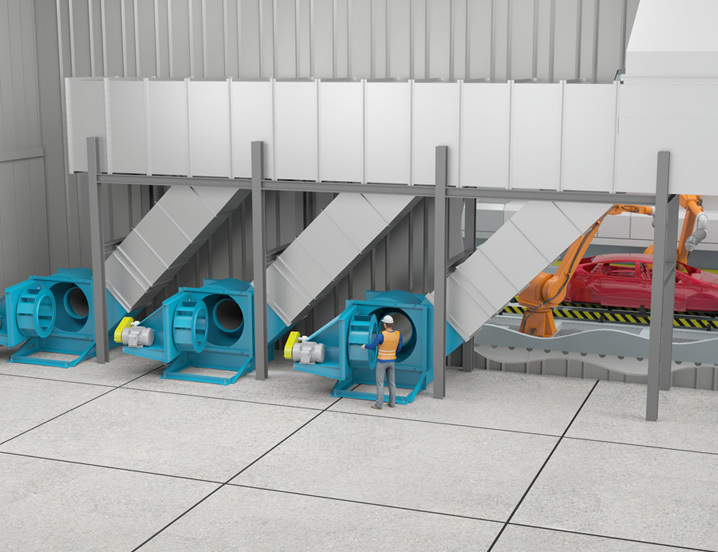 With backward inclined, backward curved, backward inclined airfoil and forward curved impeller types, centrifugal fans offer the flexibility to match the performance and application at the highest efficiency. Most models are available in single-wide or double-wide configurations which allow for even higher volumes of air.